In my life I feel like I've been around the block a time or two and I can honestly say that my favorite places are those places that lift up my spirits and encourage my soul. There's no place quite like the corner of Live Long and Prosper. You can find it in the city of Wisdom located among many Proverbs that have become powerful landmarks. Too many people are searching for this corner by working more than they are home, traveling more than they rest and being consumed by a pursuit of things. It's always OK to have things just not to let the things have you! Today, ask God to show you how to get to Wisdom. I found it by taking Proverbs right into the heart of it. There you will find so many interesting sites that will make your life the best that it can be. 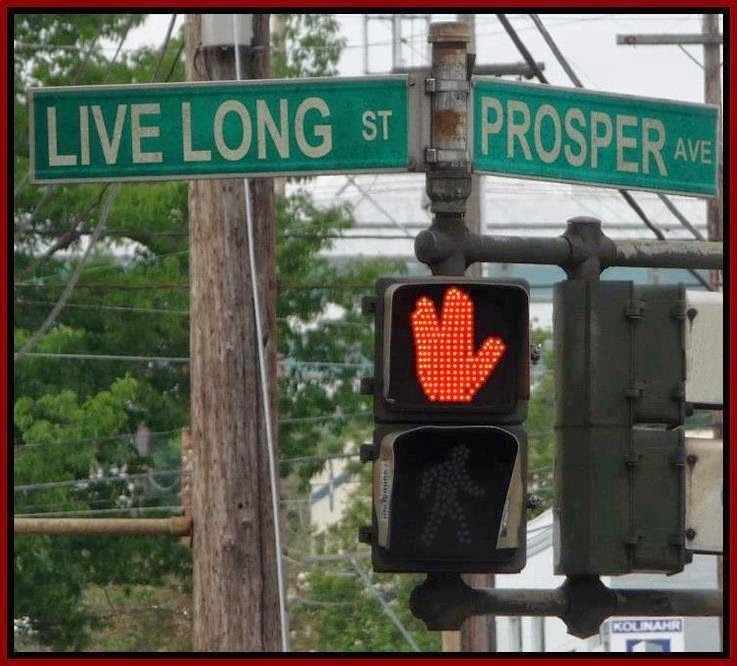 And there you can see and experience the corner of Live Long and Prosper.